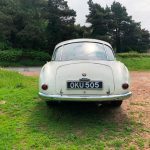 Brief synopsis and work in current ownership. 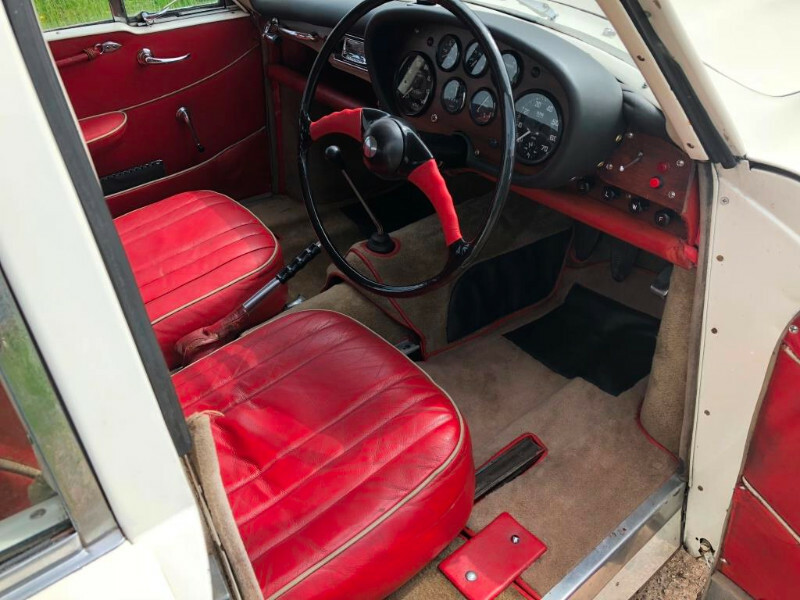 Finished in Old English White with Red leather interior. 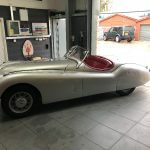 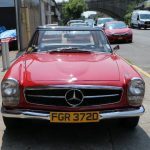 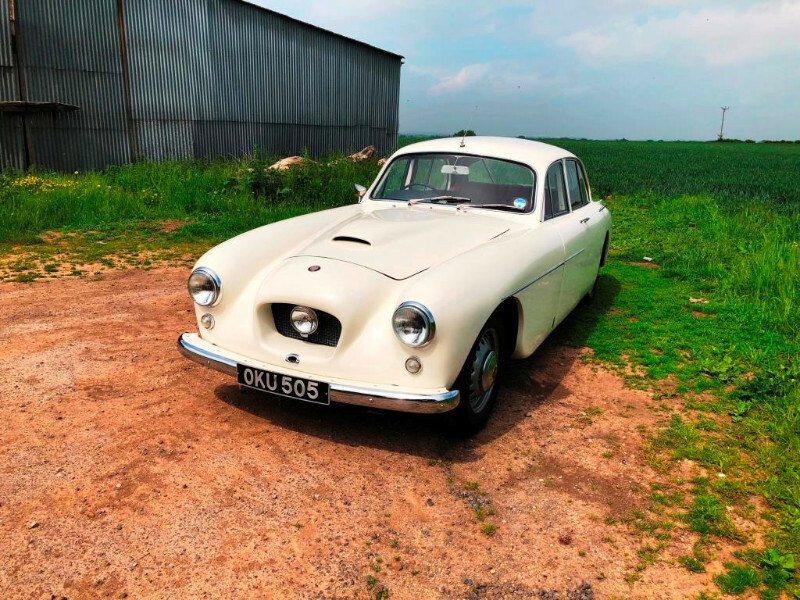 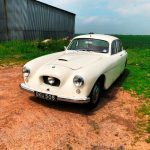 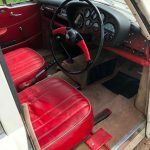 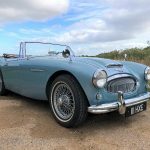 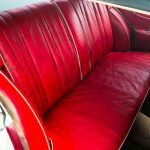 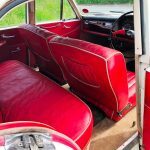 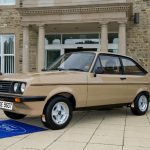 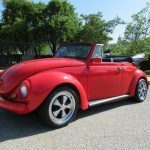 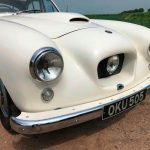 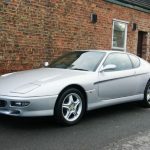 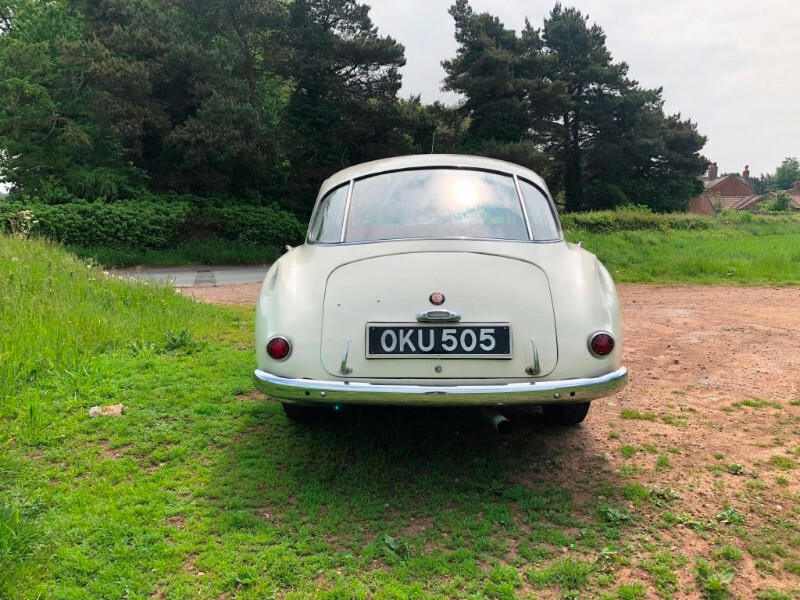 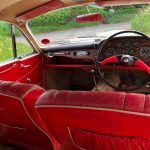 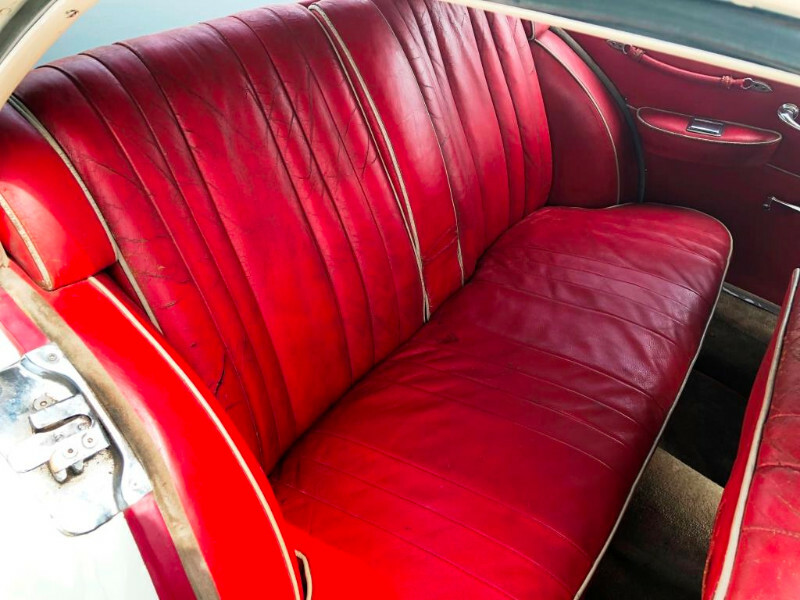 Everything on the car is in beautiful condition, the paintwork has now aged gracefully since the repaint some years ago whilst the Red leather interior sport an unrepeatable patina. 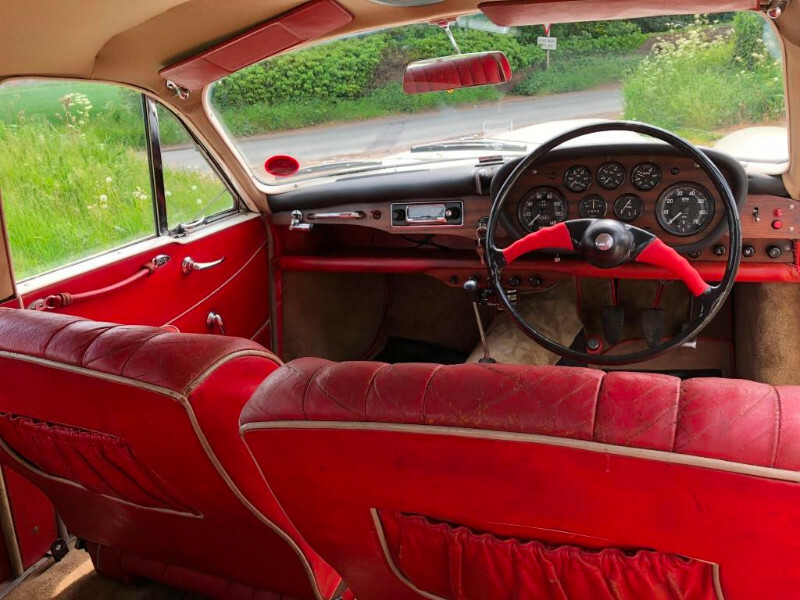 The 405 was the first series production Bristol provided with Laycock de Normanville overdrives in addition to their four speed manual gearboxes which makes a huge difference for relaxing cruising and fuel economy. 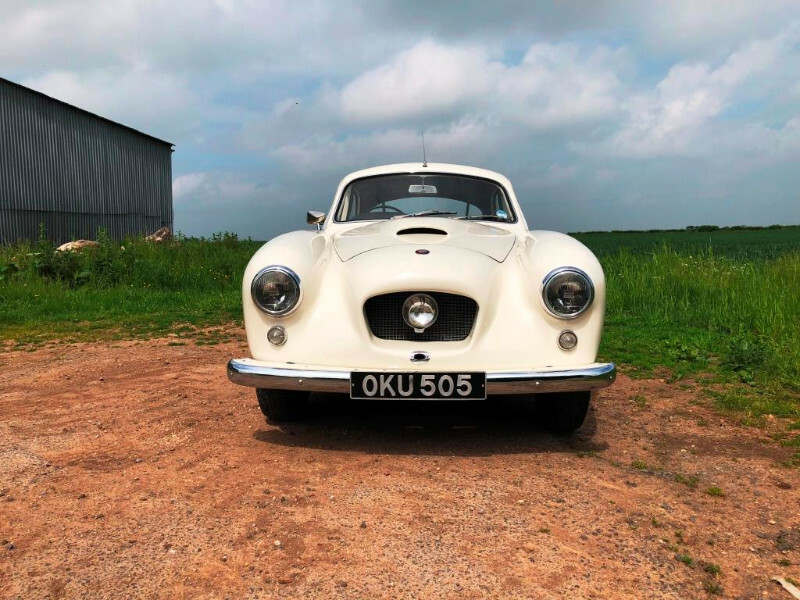 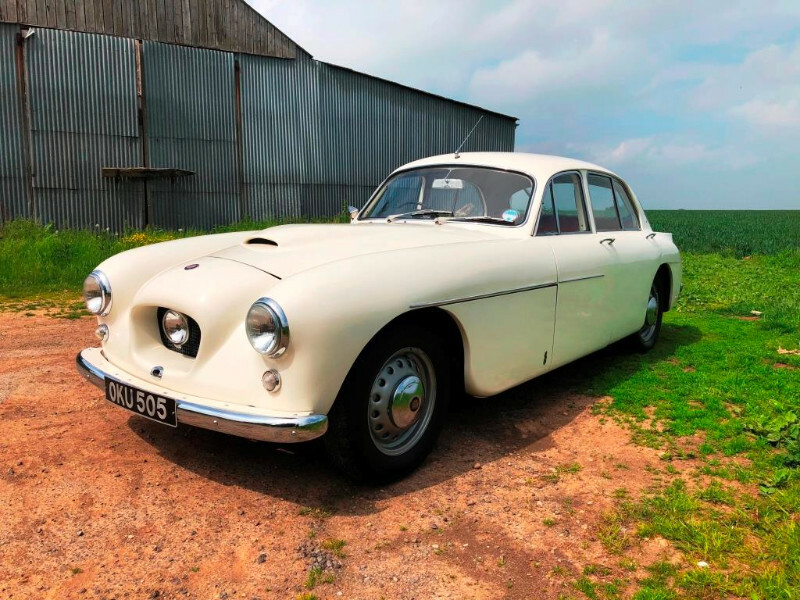 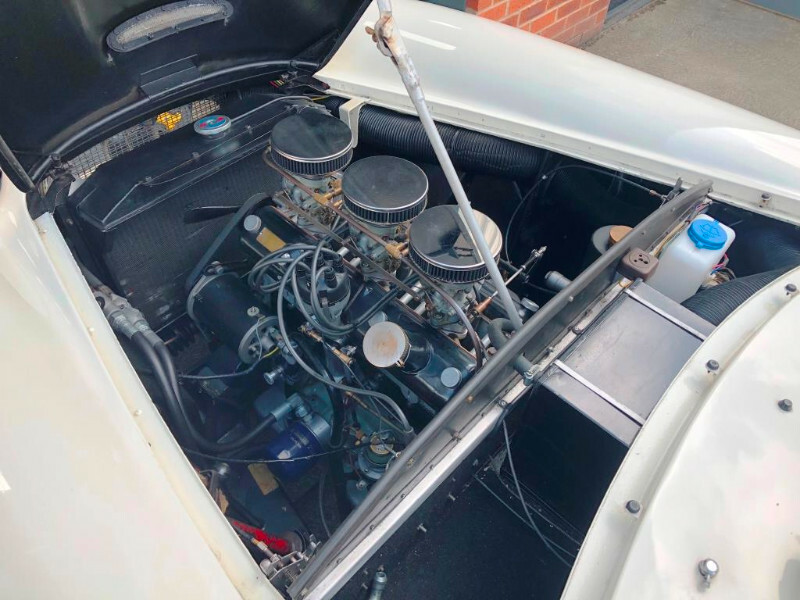 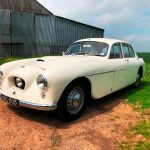 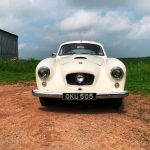 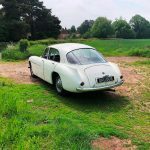 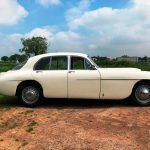 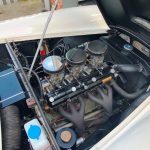 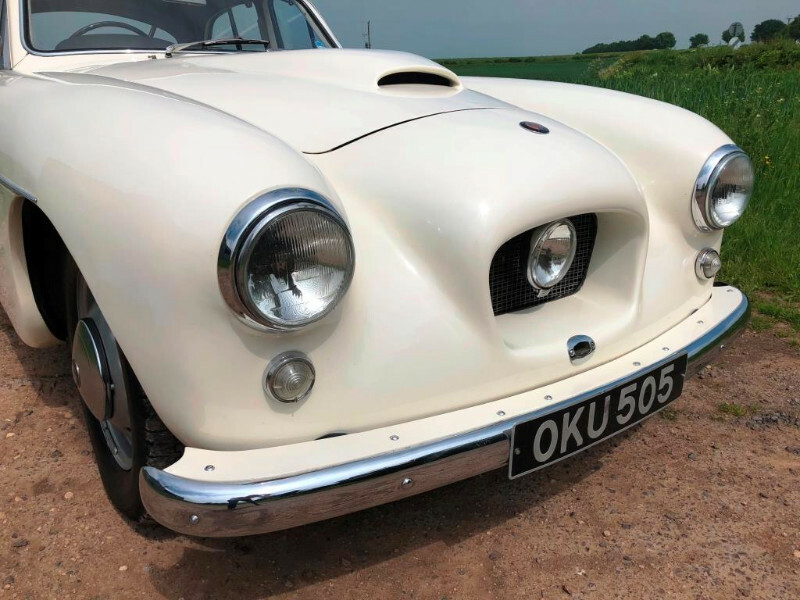 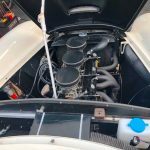 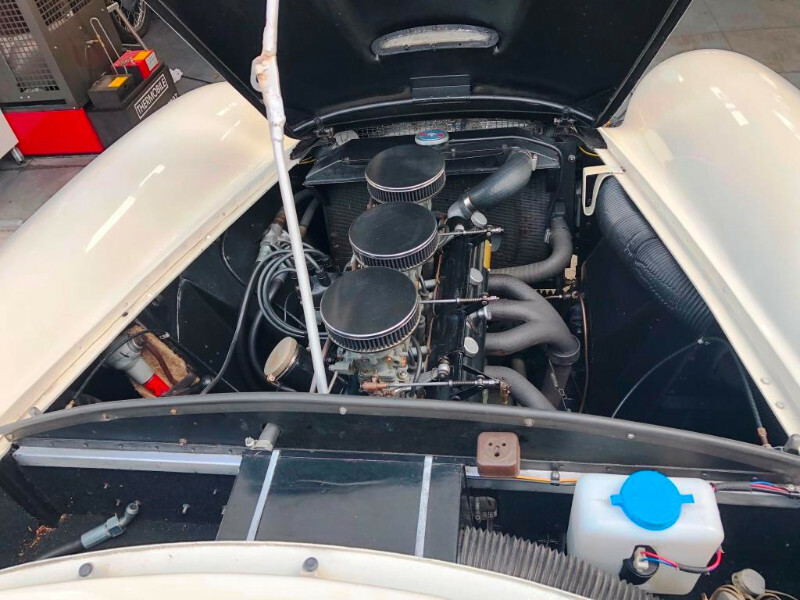 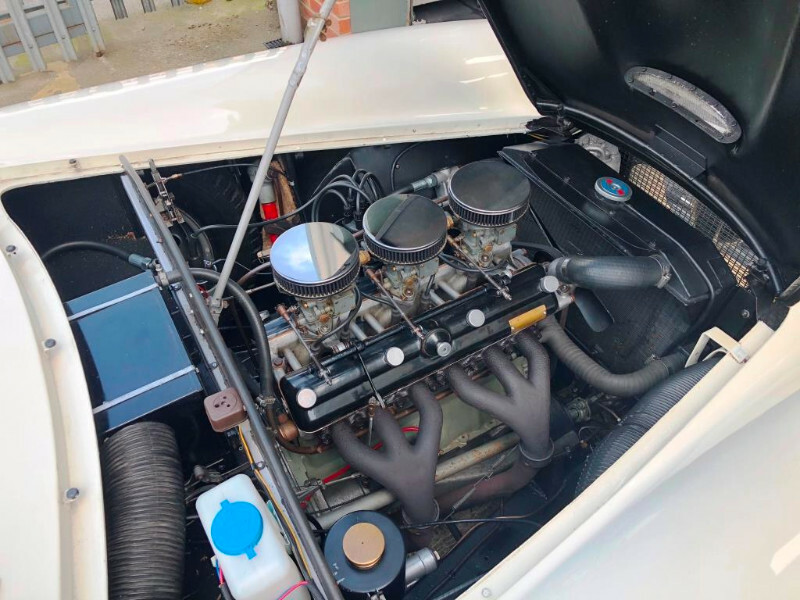 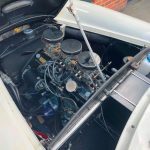 The engine fitted to complement the gearbox was the Bristol 100B2 series two litre straight six with triple carburettors. 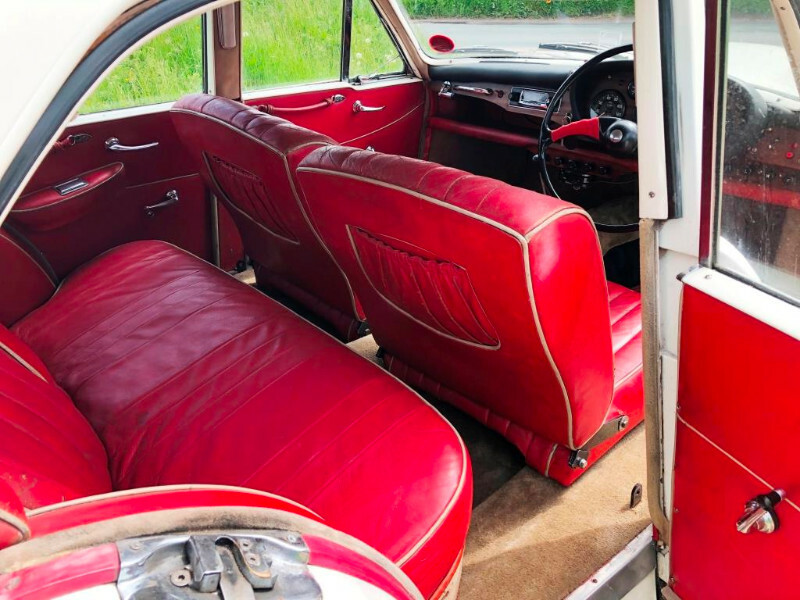 There is a lot of glazing on this car, which no doubt accounts for its nickname the “Flying Greenhouse”. 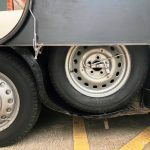 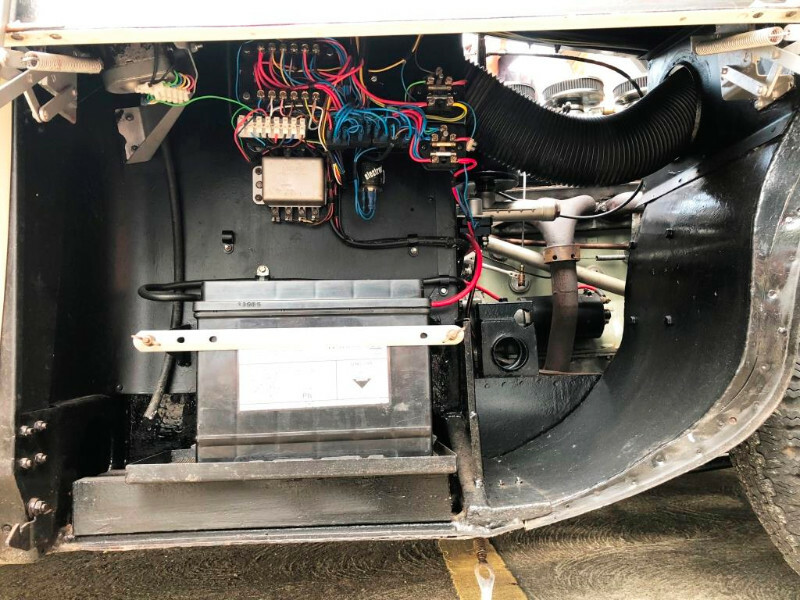 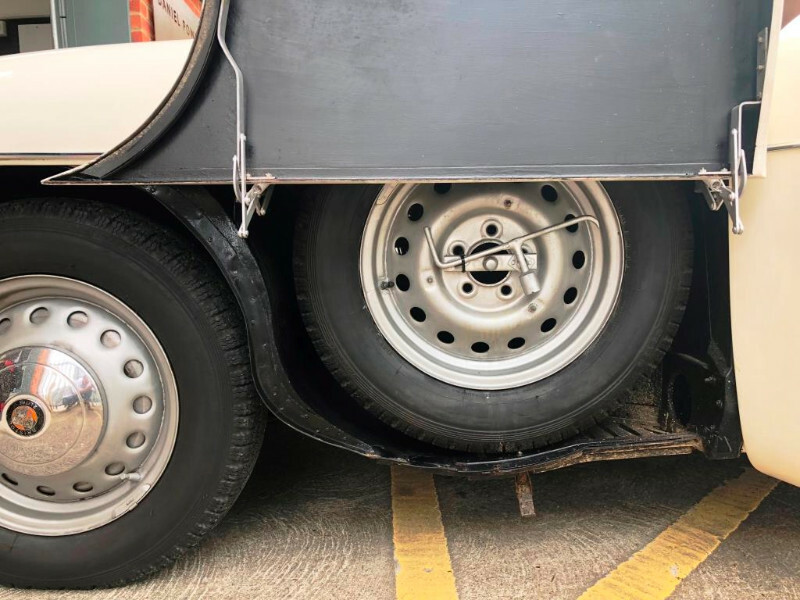 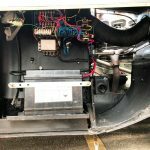 The spare wheel is stored beneath the nearside front wing locker and the battery in the offside so yielding more usable boot area. 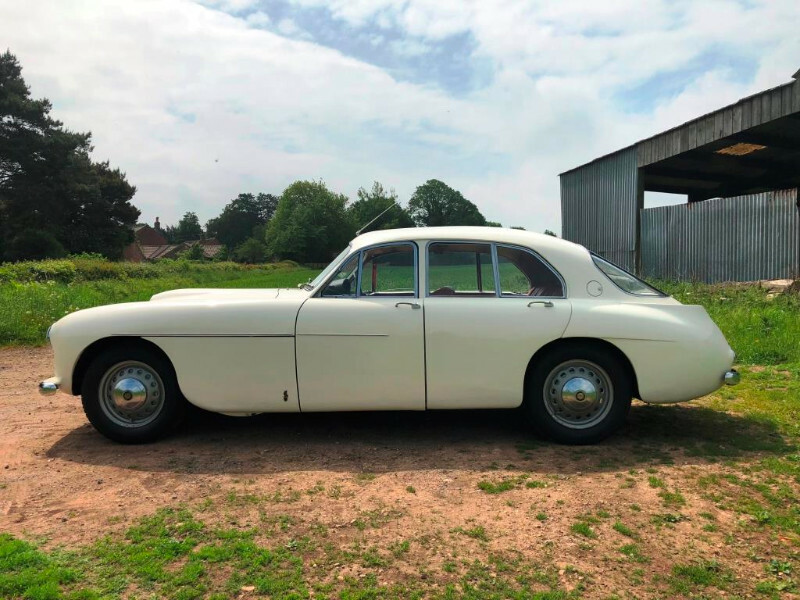 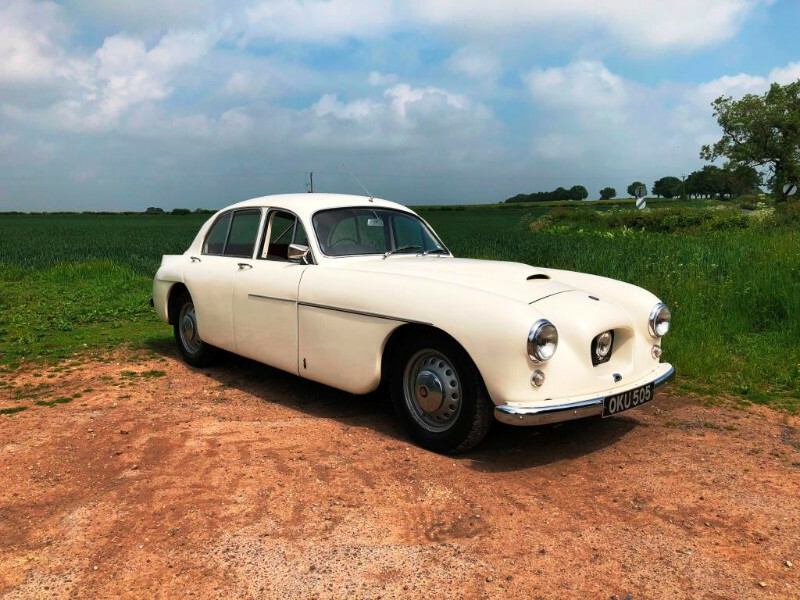 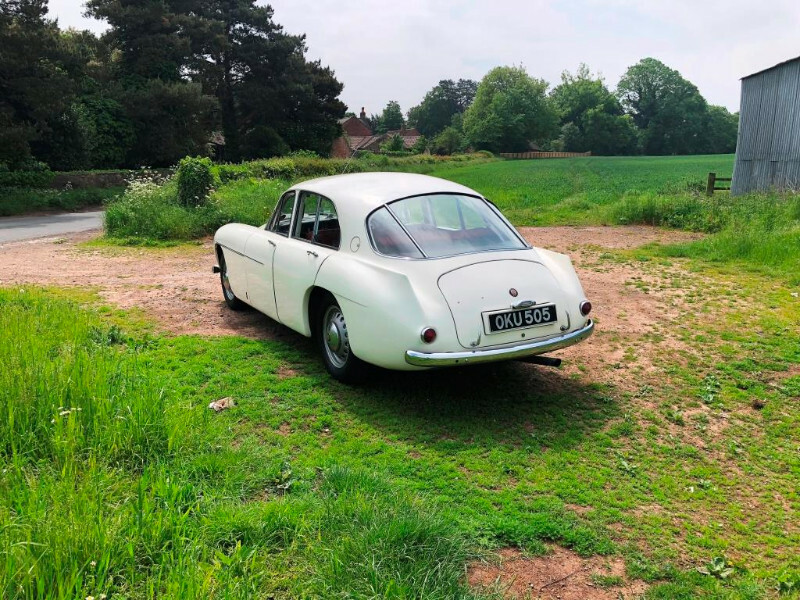 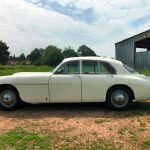 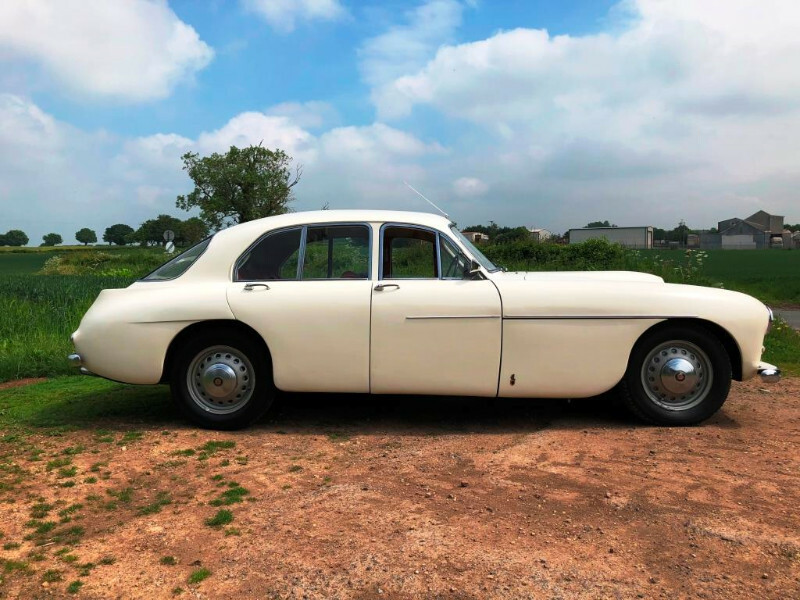 Bristol were able to achieve a remarkably low drag coefficient for the time, one not bettered in production saloon cars for many years. 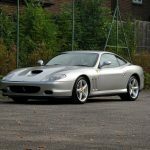 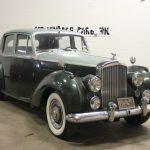 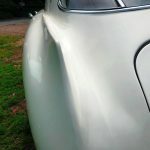 The lightweight aluminum body has fabulous tail fins and the build quality exceeds a classic Aston DB and is at least the equal of a Rolls-Royce or Bentley of the same era. 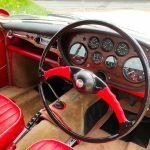 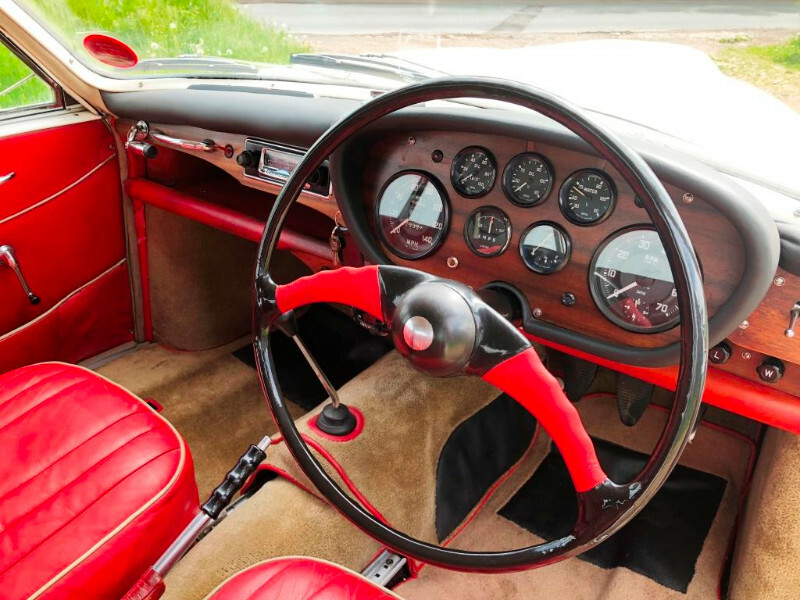 The steering wheel is a delight to use with the leather covered spokes being perfect for your hands, the hand position would approximate the “Ram’s Horn” yoke on the Concorde which was also part manufactured at Filton. 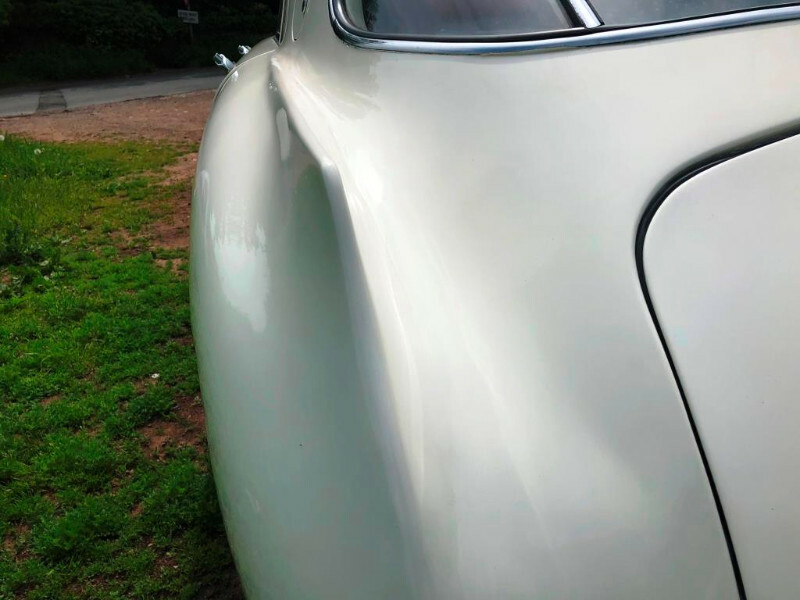 The last of the real Bristols. 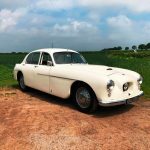 Both body and engine were completely built by Bristol rather than farmed out as per the later cars.